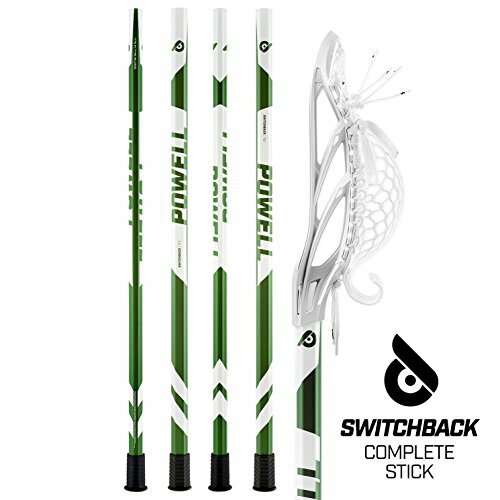 Are you looking for a new lacrosse head for your stick? If you are, then chances are, you would have been overwhelmed by all the options available on the market. That is perfectly normal, as long as you don’t settle for mediocre lacrosse heads. Any experienced player will be able to tell you how important it is to buy high-quality gear. So, without further ado, here is your guide to the best lacrosse heads of 2019. When Do You Need to Buy a Lacrosse Headpiece? 4. Mesh or No Mesh? Technically, you have to consider a variety of lacrosse head features before you find one that suits you best. This review will look at five of the highest-rated products on the market. But before we get to them. here is a summary of the top three items. 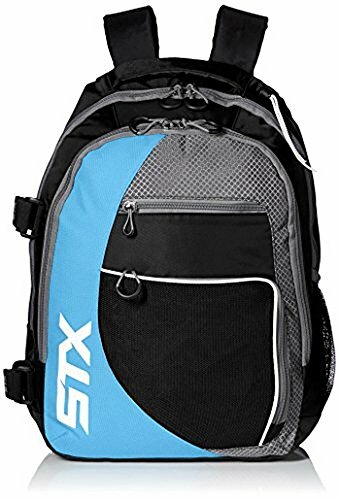 Lacrosse players of all levels, especially the more experienced ones, love their gear, and the Warrior Evo 4X is among the most popular products on the market. Warrior engineered the headpiece in a way that the outer and inner sides are symmetrical. The Symrail design ensures that it is sturdy enough for all middie, face-off, and attack positions. The product is quite narrow which makes it easy to maneuver and manage. It is also lightweight at 6.4 ounces, making it the excellent gear to run with and play. 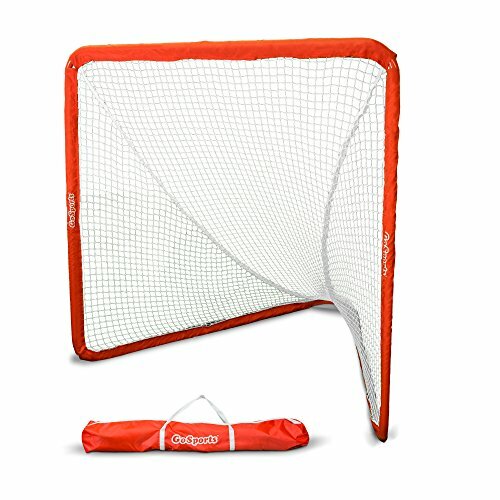 Although this product doesn’t come with any string or mesh, which isn’t unusual, Warrior manufactured it with the maximum number of string holes so that you can customize the mesh just the way you like it. This product is also perfect for those who value aesthetics for Warrior made it look sleek and cool with distinct lines all over. It is also available in a variety of colors. You can choose between black, white, and forest green, among others. It is indeed one of the best-looking lacrosse heads on the market. On top of this, the product is rather inexpensive and provides excellent value for money. This product was made especially for face-off players. However, it will also work well for midfield and attack players. 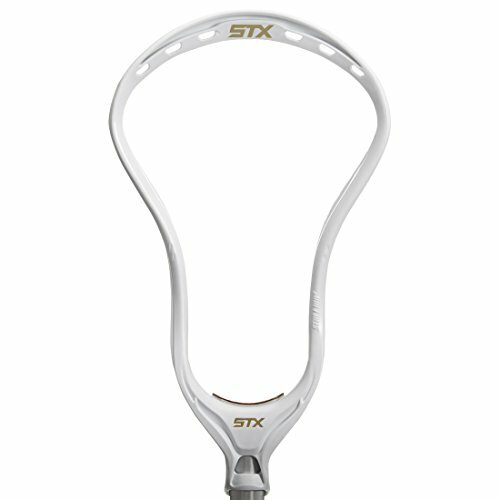 STX made the headpiece with the company’s patent throat plug which means that it is narrower towards the shaft. This design gives players more control over the ball as it allows one to hold the ball closer to the stick. The head is made with what STX calls "dual sidewalls" which means that it has two rows of support structures along each sides, making it stable and sturdy enough for face-off situations. 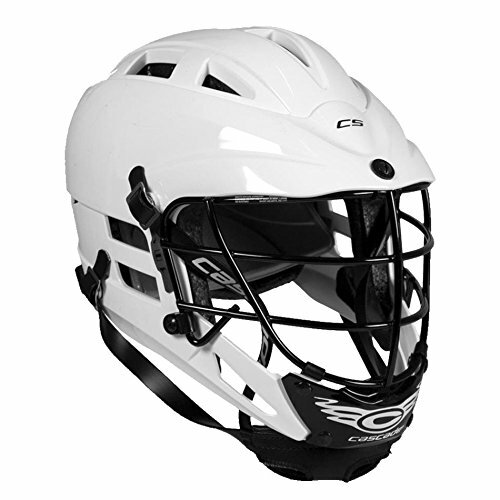 STX also carefully designed the product with flex zones near the middle of the headpiece. These flexible zones allow it to bend a bit while you play. The headpiece also has an extra screw hole which allow the user to attach it more securely to the shaft. Moreover, the product is available in grey, black, and white-colors suitable for people with sophisticated tastes. Brine is one of the most popular and most renowned manufacturers of lacrosse gears. It is then unsurprising that they produced one of the best lacrosse headpieces on the market in 2019. The Brine Clutch Elite Lacrosse Head is available in either the X or HS spec. 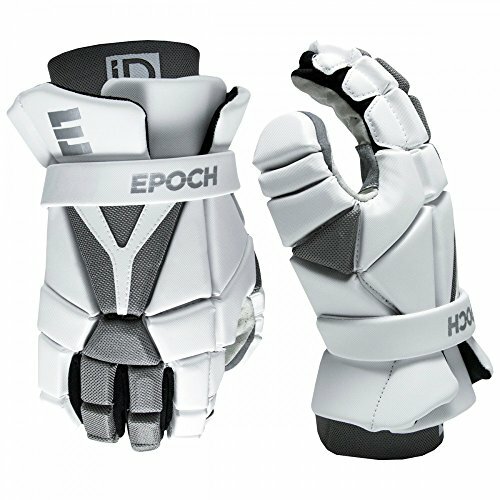 The company explicitly designed the HS spec for high-school level players. It is lighter and narrower than the X spec. On the other hand, the X spec is ideal for college and professional players. The headpiece is relatively narrow and light, making it more suitable for use by attackers and midfield players. 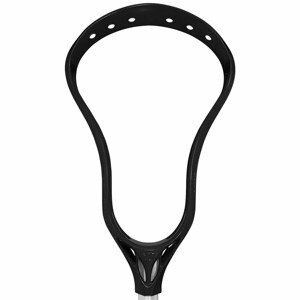 And although not as narrow as other midfield and attack options like the STX Lacrosse Face-Off Lacrosse Head, it is still more substantial than most headpieces. 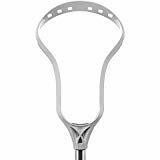 The Brine Clutch Elite weighs 12 ounces, allowing the non-professional players to use it for other positions. However, the product isn’t as contoured as what you might expect for an attack head. Nevertheless, Brine designed it to have a deep pocket. And like most headpieces on the market, it doesn’t come with string or mesh. The Brine Clutch Elite Lacrosse Head is available in several color combinations. The options are Forest Green and White, Black and White, and Orange and White. STX engineered this product especially for players in the defensive role. The best feature of this headpiece is its iconic three-sidewall brace structure. Additionally, its unique design, which is evident in all of the products in the Hammer range, makes it powerful--perfect for defensive players who need their gear to be able to take a punch. The product has a bottom rail that is positioned in a way that it has high pocket placement. This product is also exceptionally lightweight for defensive heads. It weighs only 5.6 ounces when, typically, the heads weigh more because they are wider and made to be more durable. Fortunately, STX found a way to leave out as much material as they could so that it would weigh less but is still structurally sound. Furthermore, the headpiece has pronounced contours. It is manufactured with what STX calls their “Speed Scoop.” The top of the head is narrowed and flattened to improve its effectiveness for ground balls. The Hammer is available in two color options; neon green, and orange. East Coast and Dyes is another well-known producer of high-quality lacrosse equipment. One of their best products is their Mirage Unstrung Lacrosse Head. The headpiece is a premium item that is ideal for experienced and even professional players. It can take all the strain unnecessary in more intense games. The Mirage doesn’t have much of a curve. It is not too contoured, but not too flat either. It is a fantastic option if you don’t prefer one over the other. And as you might expect with this type of scoop, the headpiece is made for low to mid pockets. These features give you optimum control over the ball and allow for unusually snappy and fast passes. The best feature of the piece, however, is its weight. It is the lightest item on the list at only 4.7 ounces. 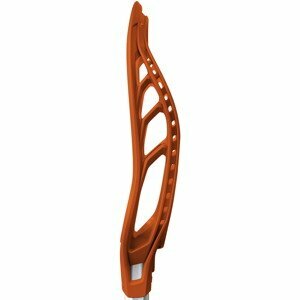 And you don’t even need to worry about its durability as its sidewall is reinforced with several braces to make it sturdy. The product is available in black or white. These neutral colors make it suitable, aesthetically speaking, with any shaft. However, as you might expect, quality comes at a cost. And this product can be quite expensive. This product is made with face-off players in minds and can also be used by middies and attack players. The scoop design of the STX Lacrosse Stallion 700 Unstrung Head can handle extended ball possession and provide greater precision to strengthen your defensive moves. This feature also comes in handy when trying to deflect the ball from a risk zone and helps to play a lofted shot. STX made the headpiece with the company’s new patent pending “Speed Scoop,” which allows for quick and effortless scooping while reducing scoop drag on grass and turf. The head is made with the iconic two-sidewall brace design, enabling optimal stability when checking and scooping ground balls. And a dual sidewall – which indicates the presence of two rows of support structures making it one of the best head for face-off situations. The new stallion 700 design is 5% lighter and 25% stiffer than previous stallion models. Its C-channel technology uniformly distributes stress on the sidewall, allowing for additional strength and stability between the lines. This set you up for a defensive power game. Additionally, the product is molded to withstand heat, UV, humidity and ground impact pressure. This rugged construct ensures maximum durability without brittleness, breaking and warping. You will find three color variations of black, grey, and white to choose from, and it meets both NFHS and NCAA regulations. This product was personally tweaked by the MLL superstar Paul Rabil, who perfected the head to be a better attacking tool. Designed with maximum Truoffset design and a more extended sidewall transition, you will get a ridiculous shot power from this head. 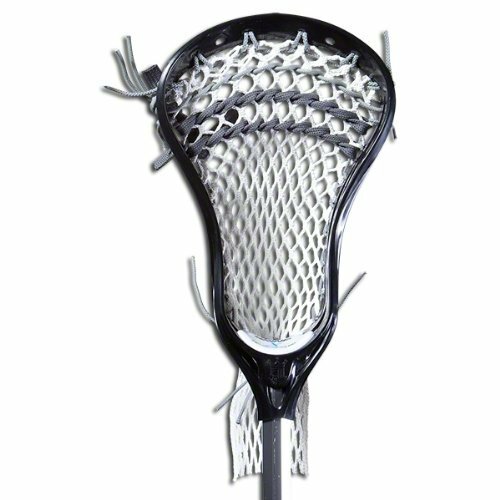 The Warrior Rabil Strung Lacrosse Head comes in three unique colors choices of black/white, Boston, and white/forest color. This makes the head stand out for younger players – and that is who the product is designed for. While the maximum Truoffset technology used in producing this head gives it an incredible shot power, it is not as durable as the first two on this list. But this is not much of a concern, as it is not meant for play at professional, high school or higher levels - instead newer or younger players who want to improve their game. It is lightweight enough to enable you to feel the ball inside and comes with the maximum number of holes allowed for stringing making it highly customizable. This is one of the most valuable head on the market considering the price it’s going for. It's super-easy stringing also makes it appealing for newer players. Warrior is an established brand, and they have made this head stiff and sturdy, it is tested and trusted. It is an improvement on existing models, and with this product, you can’t go wrong. 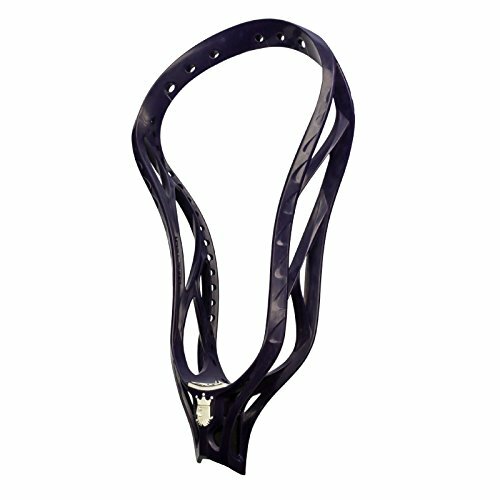 This is a lightweight defense head produced by the renowned manufacturer, East Coast Dyes (ECD). It is one of the best head to come out of the company. This head is suitable for both entry and professional level players. It is a beast in transition and features a tighter face shape and aggressive pinch – you will always be a threat. Attackmen are not going to like the punishing check this head allows you to ditch. It’s aggressive features, and extremely stiff construct enables this head to take a beating while also serving it hot. 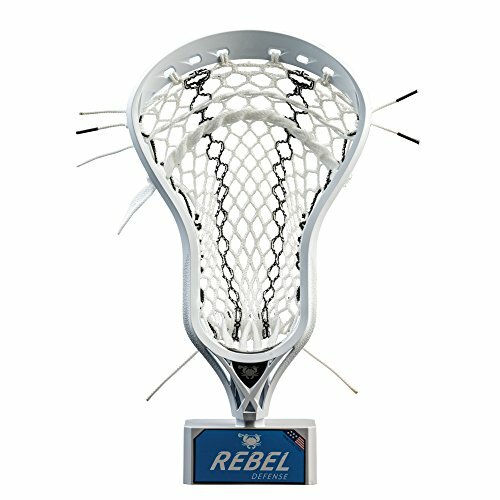 The Rebel Defense Strung Lacrosse Head makes picking groundballs super easy. 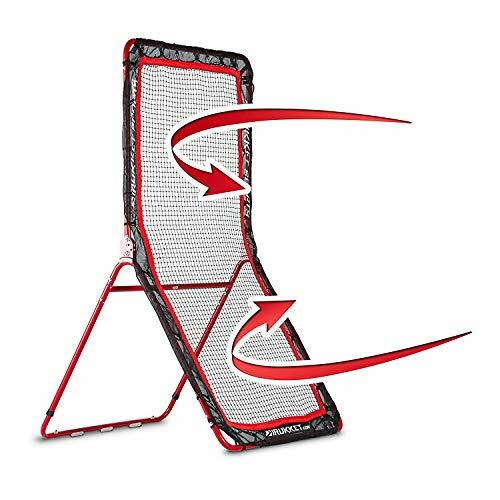 Whether it is from the side or straight on, high angle or low angle, under pressure or all alone; the rounded scoop design makes picking groundball easy and fast from any surface or position. Perhaps the best feature of this head is the weight, weighing just under 5 ounces, it is one of the lightest lacrosse head on the market. You do not need to worry about its durability, the side walls are fortified with several braces to make it sturdy. This head is for the rebels. Defensemen who want to walk their path and turn heads as they play the game. If you want to strike fear into the opponent’s mind and you're not afraid to score a couple of goals yourself – this is the ideal head! Here is another excellent product from STX. It is a fantastic head, albeit highly specialized – meant for goalies. It comes with specific flex zones engineered into the midsection of the head, and an updated sidewall geometry which brings about increased stiffness without increasing the weight of the head. The STX Lacrosse Eclipse 2 Unstrung Goalie Head also comes with a new scoop design which makes it easier for goalies to make saves. It also features additional sidewall holes which push down to create a deep-set pocket and a great release channel. 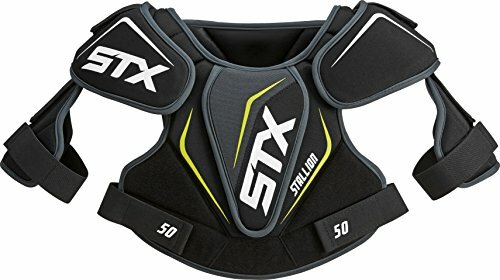 STX has been in this business a long time, and their experience goes into making this super goalie head in particular. Additionally, this product is unstrung, this allows for customizations as you deem fit. You do not need to worry about grip, as it comes in an ergonomic throat design for a secure and firm fit. An advanced manufacturing technique was used in making this head, which results in a product with maximum tensile strength and zero warpings against pressure and impacts on the body. This product is popular among goalies; it is one lacrosse head that won’t give up on you when your defense does. You will find it in three varieties of beautiful color, you can choose any that suits your vibe. If your defensive duty is getting tougher than expected against your opponents, it is time to switch to the Brine Cyber Strung Lacrosse Head. 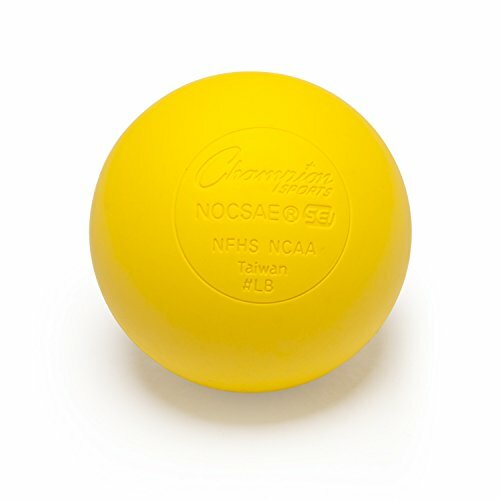 This product gives you the ability to grab the ball from opponents with minimal efforts. It has a broad face that adjusts the ball quickly by shifting it to the narrow upper head while allowing you to retain possession. It has a reinforced core construct which can endure beatings, vibrations, and shocks from opponent heads with its rugged surface impacts, while still allowing you to move the ball very fast. And with its Wider face shape design, it becomes easy to break passing lines. 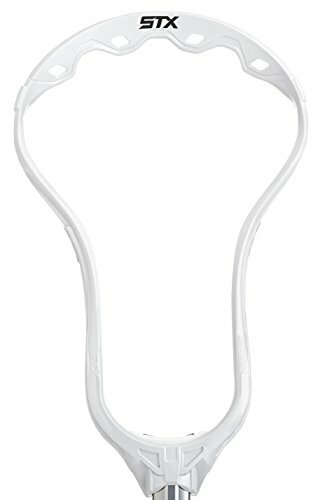 With the Brine Cyber Strung Lacrosse Head, you will find it very easy to take possession of awkwardly moving ball, whether on air or on the field. With its protective design, you can grab the ball from heights and cuddle it without losing control. The Brine Cyber Strung Lacrosse Head has a New TRUSS sidewall design, a New double screw hole attachment in the back which provides a solid base to string together a solid defensive game. Either in midfield or attack, this head will prevent your opponent from retaining the ball for long with its uniquely designed ball grabbing ability. A ball scooping design unique to this head. 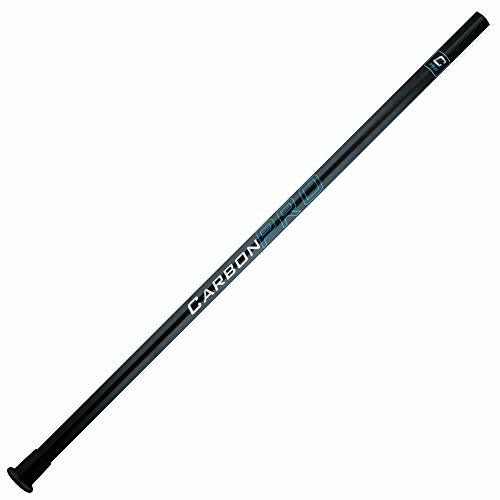 The central piece of lacrosse equipment for a lacrosse player is the stick. It is what players use to catch, pass, and throw the ball. It is impossible to play the sport without it. 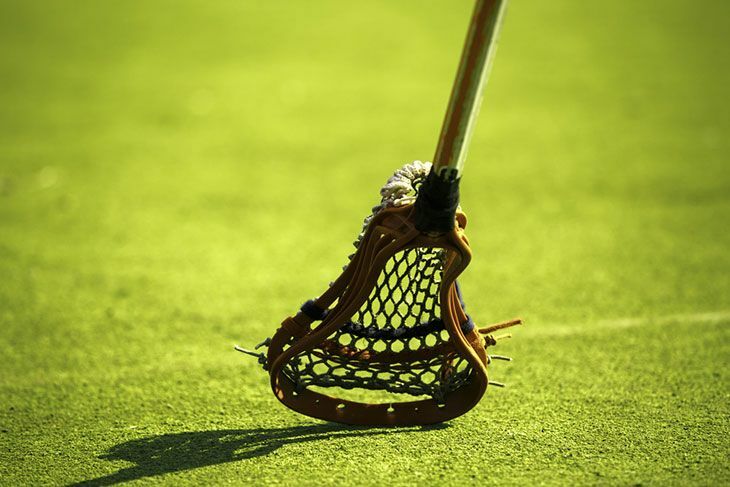 The purpose and structure of the lacrosse stick have not changed much. It is made up of two parts: the shaft and, of course, the headpiece, which will be the focus of this content. In the past, the headpiece was constructed from wood and leather. Nowadays, their design is modern and streamlined, and the material from which they are made has been revolutionized. It is now made of a variety of substances. Most products are manufactured from materials like plastic and carbon. Lacrosse stick heads are typically shaped like a scoop. The shape allows you to catch, scoop, stop and throw the ball. While you enjoy the thrill of the game, your gear takes a beating. It will be bumped, scraped, strained, and exposed to all kinds of weather conditions. And no matter how sturdy it is, you can’t expect it to last forever. Eventually, your headpiece might start to show cracks or even break. It may also start to show discoloration. If you see any of these signs, then it is time to invest in a new headpiece. However, it is also best to remember that a beginner stick might probably not be able to take the strain required of an experienced player’s equipment. Manufacturers often make sticks for different roles like a goalie, defender, midfielder, and an attacker. This is because the dimensions and contour of the head can affect the way a player handles the ball. Goalies use a unique type of stick. Their headpieces are broader to help them catch and stop the ball. These headpieces typically have fewer contours. Defenders need to use their sticks to handle ground balls and checks. They need a sturdy stick that can survive this type of pressure. The primary requirement for a face-off headpiece is that it should be flexible enough to bend without breaking or cracking. Attackers need equipment that is exceptionally lightweight. Their sticks and headpieces often weigh the least and are narrower than defenders and goalies’ gear. If you are an attacker, then look for a product that is arched and contoured. Some holes run along the side of the scoop through which you can thread the string or mesh. Unfortunately, most lacrosse heads that you can buy come without any mesh. You will probably need to string it yourself. You can choose between different types of netting. It is much easier to install mesh than string. Most stringing kits will come with instructions on how to do this. Check out this video for easy to understand instructions for stringing your stick. 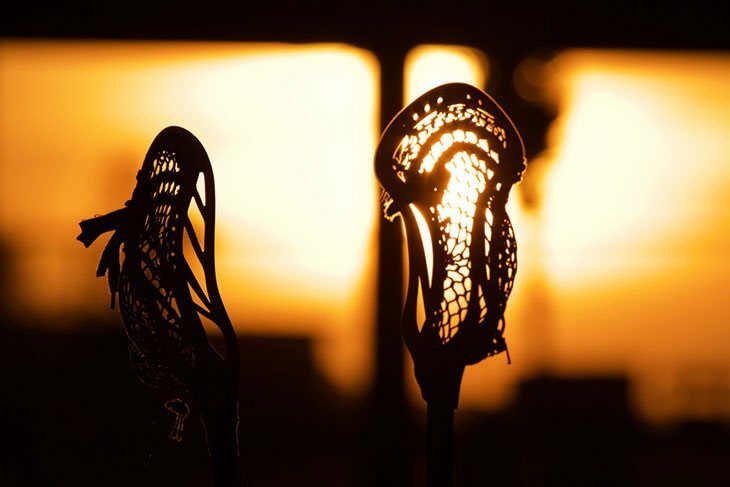 You might think that all lacrosse heads are the same shape, but that is just not true. Remember that equipment for different roles come in different dimensions. To play the sport optimally, you need the ideal gear to set you on the right track. The weight of the headpiece depends on its dimensions and material. Most of them are very light, but you might be surprised how big a difference a few ounces make. It can significantly impact your game style. You should make sure that the product is suitable for your role and style. The color of the headpiece is not the most critical factor, but it is still worthy of consideration. You will preferably want to buy a product that matches the stick and perhaps even your uniform. Remember that when you look good, you feel good. As I have mentioned lacrosse heads are often sold without any net. In this case, you need to string it yourself. There are also services that will do this for you. But all of this means that there will be extra costs involved. 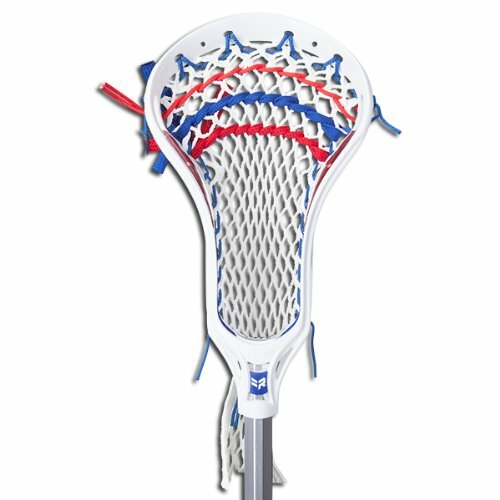 If you are a beginner at the lacrosse game, the best option for you is to go with a lacrosse head that comes pre-attached with a shaft. In other words, a complete stick is your best bet. Such sticks typically feature lacrosse heads which are specifically designer for the beginners. A beginner lacrosse head typically features a wide enough face which allows you to catch the ball relatively easy in the beginning. It is also preferable if you go with a lacrosse head that is made from a softer mesh and is not too stiff. This will ensure that when you catch the ball, it will not simply bounce off the head. So you will be able to gradually develop ball control. Lacrosse heads for beginners also tend to have a flatter scoop which allows the player to easily get the ball off the ground. 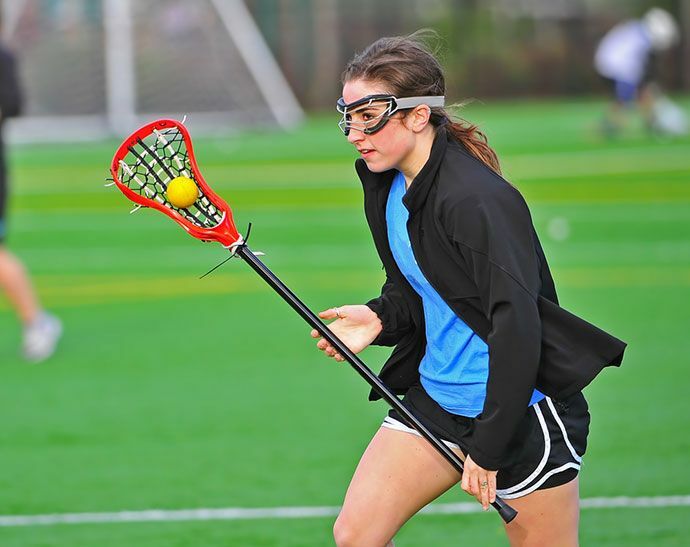 As an attacking player, you need a lacrosse head that will help you in the offensive play. In this position, you will need to make hard passes, shoot the ball accurately and swiftly get the ball off the ground without losing it. Typically, attack heads are more flexible then defense heads. Attack heads come with more flexible sides. This ensures that the attacking player is able to quickly get a ball off the ground when need be. Another distinguishing feature of attack heads is that they come with narrow throats and pockets. A narrow profile ensures that the attacker is able to keep the ball safe while carrying it. Narrow pocket also enables a more accurate shooting, allowing the attacker to make accurate passes and shots. Most attack heads also feature a slight curve along their throat where they meet the shaft. This curve enables an attacking player to channel more power into his shot and achieve better accuracy when shooting the ball. Stringing a lacrosse head is quite easy if you follow the guidelines. Usually, you will be able to manage an awesome 10-diamond mesh on your own and this will serve you well in the game. Step 1: Fold the row of diamonds into two rows so that you clearly see only 10 diamonds on the top. Step 2: Pass the string through the 1st diamond and pull it back over the sidewall rail of the head. Step 3: Put the string through the second sidewall hole and in this way, secure the 1st diamond of the head tightly to the 1st and 2nd sidewall holes of the head. Step 4: Push the string through the 2nd diamond and pass it through the 1st scoop hole on the head. Step 5: After passing the string through the scoop hole, pull it back and secure it tightly. Step 6: Tie the 3rd hole to the 1st scoop hole in a similar way and then push the string through the 4th diamond and then through the 2nd scoop hole. Secure the string tightly. Step 7: Pass the string through the 5th diamond and then push it up through the 2nd scoop hole. Step 8: Push the string through the 6th diamond and then push it under and up through the 3rd scoop hole. Pull the end back away from the scoop and tie it under itself. Step 9: Pass the string through the 7th diamond and the 3rd large scoop hole and tie it in a similar manner. Step 10: Follow the same routine with the 8th mesh diamond and the 4th large scoop hole. 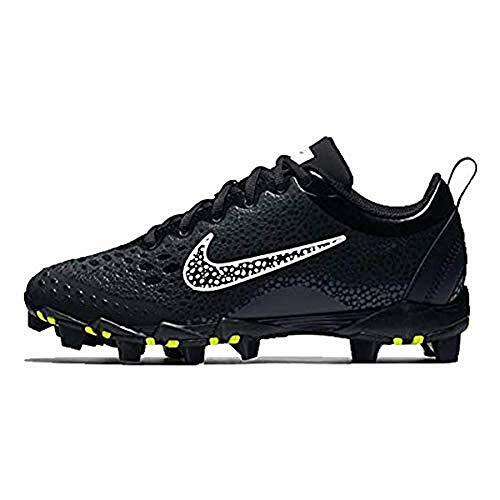 Do the same with the 9th mesh diamond and the 4th scoop hole. Finally, peg the 10th mesh diamond to both sidewall holes on either side of the head and then pull the string back over the rail. Pull as tight as possible and finally tie it in a secure 8-shaped knot. Your lacrosse head has been strung and is ready for use! Check out the video below for easy-to-understand instructions for stringing your stick. 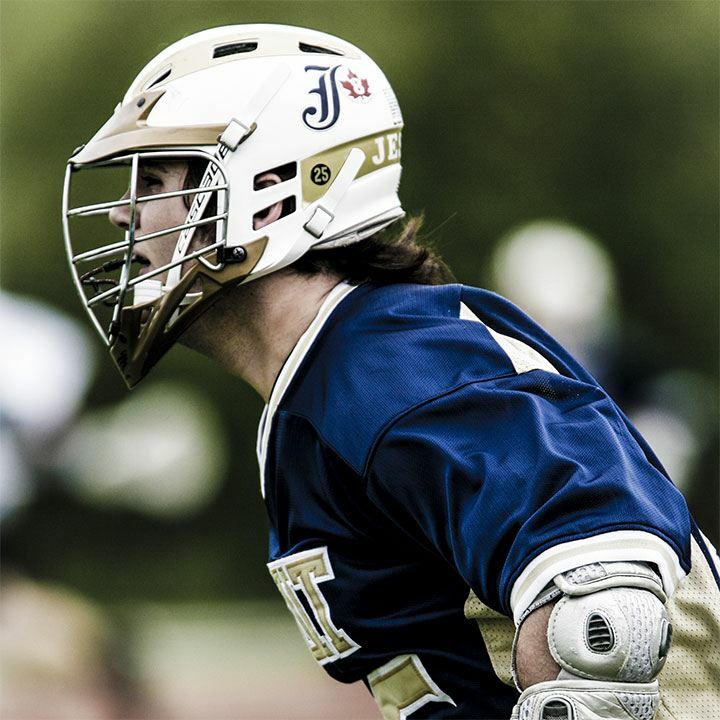 If you are playing at the high school level, you will need to go a lacrosse head that conforms to the rules defined by NFHS. As per these rules, the minimum width of the head should be no less than 6.5 inches and the maximum width no more than 10 inches at the widest part of the head. Typically, heads which conform to these rules are known as NFHS heads. If you are playing at the college level, you must get a lacrosse head that conforms with the rules laid down by NCAA. The lacrosse heads which meet these rules are known as NCAA heads. These heads are legal for use in college-level games but are not allowed in youth or high school games. Finally, a special legal variety of lacrosse heads known as ‘universal heads’ are also available in the market. These heads conform to the NCAA as well as NFHS rules and are allowed for use on all level. These include youth, college level and high school level games. Finding a head which is legal according to the rules of your respective level is important. If you carry a head which is not legal according to the rules, you may be barred from playing in the game. Alternatively, if an illegal head is discovered during the game, you and your team may be penalized for it. It is clear to see that each of these products deserve to be on the list of The Best Lacrosse Heads on the Market in 2019. Each of them has unique winning features. However, the clear winner is the Warrior Evo 4X Unstrung Lacrosse Head. 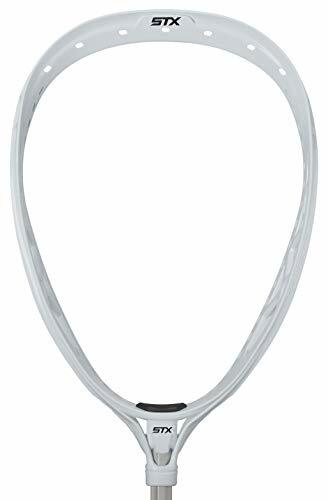 This headpiece is ideal for attackers, midfielders, and even face-off players. The product is narrow, and lightweight which make it maneuverable. And thanks to its Symrail design its outer and inner wall mirror each other, so it is incredibly sturdy. Besides this, you can choose between multiple color options like royal blue, grey, and forest green, among others. Overall, it offers the best value for money. Tell us in the comments what you thought about the products and share the article with all your teammates who are in the market for new lacrosse gear.